This inkwell comprises a base and removable cover. The base is elaborately decorated with pink and white lotus flowers and scrolling foliage against a turquoise background. The four corner edges of the base are bevelled and each decorated with a column of prunus blossoms. The cover has a plain concave top leading to a round hole, and the sides are decorated with blossoms and scrolling motifs. 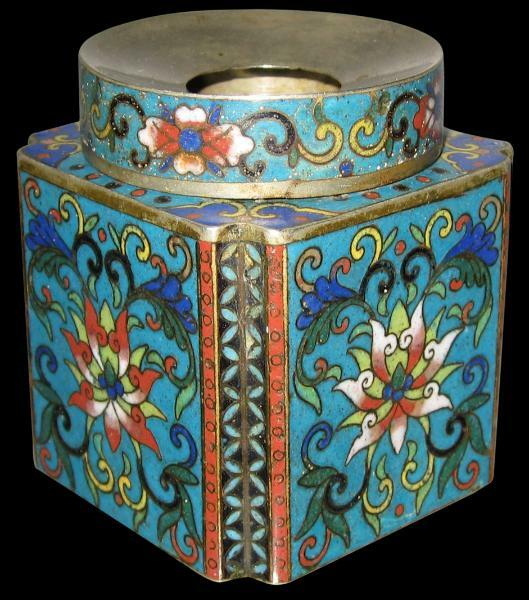 The condition is good with only minor losses to the cloisonne. Cloisonne inkwells are relatively rare. 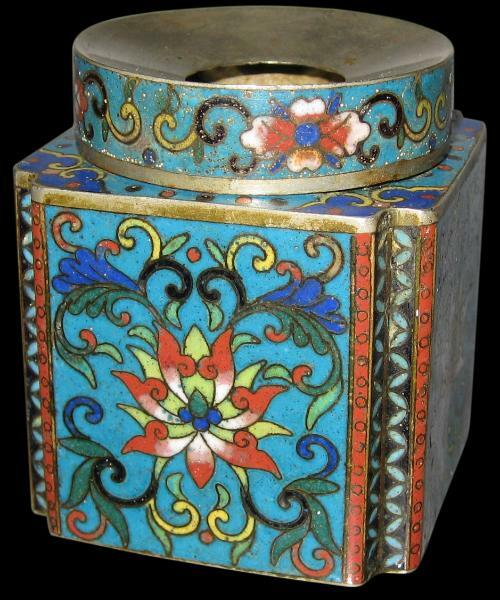 A cloisonne inkwell was offered at Christie’s London in their ‘Chinese Ceramics and Chinese Export Ceramics and Works of Art’ sale, June 9, 2001, lot 139. Another was offered by Christie’s Kong Kong, in their ‘The Imperial Sale’, April 27, 1997, lot 40.